I just recently checked something off my bucket list that I had honestly thought would take me a lot more time to get around to doing, namely acting as Pilot In Command for an aircraft flying around the Alps during the winter. This was an amazing experience, and something that every pilot should try to do at least once in their life, in my opinion. I’ll try to document as much of the experience as possible here in a couple articles to hopefully make it a little easier to check this box for y’all as well. The entire week before the trip we were watching the weather like a hawk. 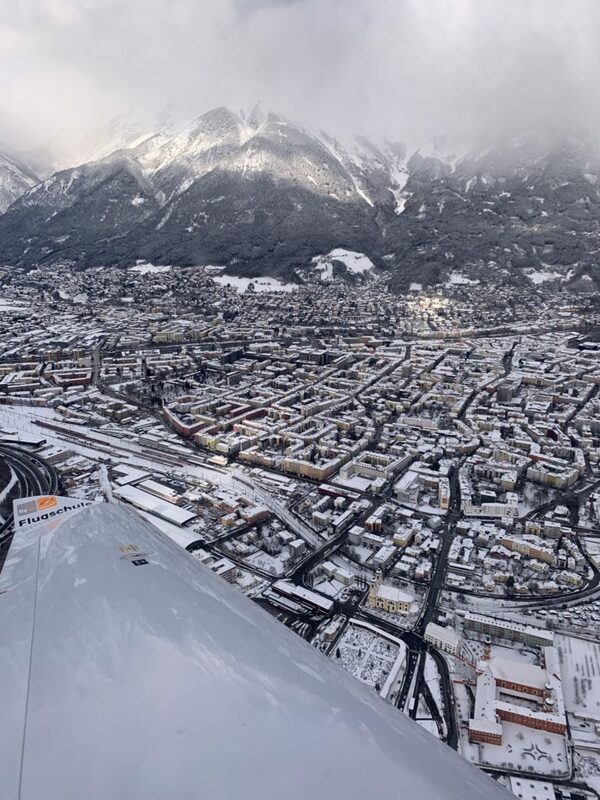 It was looking like the first day we were in Innsbruck would be snowed in, but the second day would be the better of the two to go flying. That shifted slightly as the days progressed but the second day remained the better option. 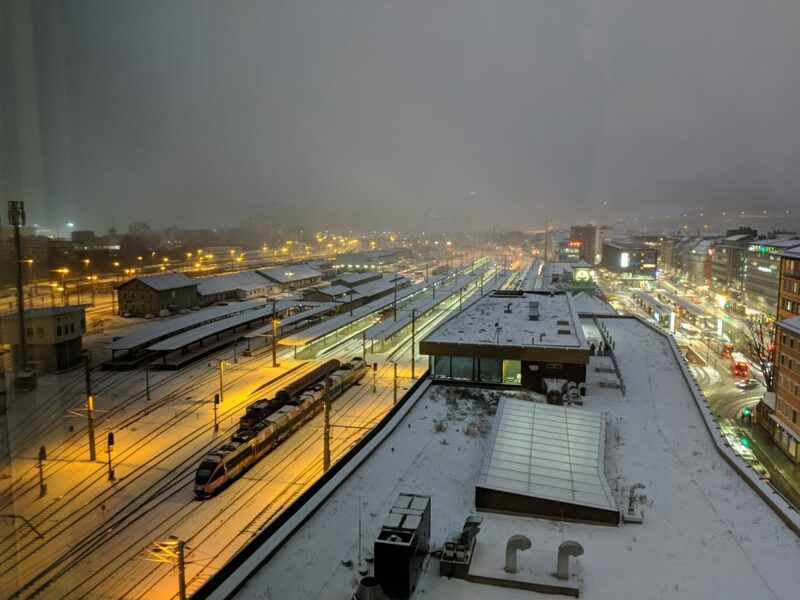 We arrived in Innsbruck on the train from Munich late in the afternoon the day before the aircraft reservation started. It had been snowing all day, and the forecast had the snow continuing throughout the following day. I emailed briefly with the flight instructor and we agreed to talk again at 8 Am the following morning to assess the situation and make a decision about the flight that day. The following morning things looked below my personal minimums. 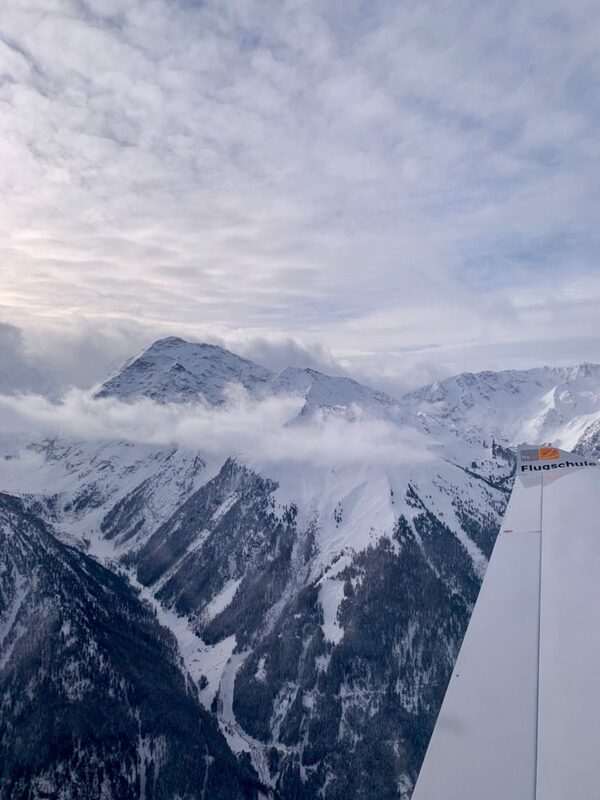 The clouds were forecast to remain below the tops of the mountains all day, meaning a VFR flight to Italy was out of the question and the Innsbruck instrument approach was a no-go. It was doubtful how far we’d actually get up the valley, if at all, before encountering the cloud base. The worst part: the weather had flipped. Instead of the first day being the worst for weather, it was now the best. There was another storm rolling in that threatened to continue to snow throughout the end of the trip, meaning that this first day was the only option available. I mentally made my decision — we wouldn’t be going. The weather was too poor, and it wasn’t worth spending all that money for a couple laps around the pattern. I texted the flight instructor my concerns and said that we should cancel the flight, and told my wife that she could sleep in a little more. He responded a few minutes later saying that based on his own experience with the local weather this was indeed a good time to go, as long as we could get off the ground before 11 AM. Which was only three hours away, and we were still in bed at the hotel. I deferred to his expertise and, at the risk of annoying my wife, asked her to start getting ready. What followed was a mad rush to get showered and dressed for the day. I will forever be in debt to my wife for her ability to rush through her daily routine and get out the door quickly without so much as a complaint, and thanks to her hustle we made it to the field precisely on time. I’ve flown out of Republic Airport in New York, and Innsbruck felt like a much nicer version of that field. It’s a fairly standard small commercial airport with regular jet traffic, so the commercial terminal is the primary building. Off to the right side of the terminal is the general aviation terminal where we met the flight instructor. This was the second time in my flying career that I’ve been asked to go through a metal detector before boarding a private aircraft, and it actually made sense this time. Apparently there’s a direct connection between the GA terminal and the airside of the regular terminal to allow for last minute shopping for passengers. We were even issued a boarding pass as we entered the GA terminal. Once inside we discussed the flight plan for the day — up the valley to the east, attempting to pass through a valley if it wasn’t socked in, and attempting the approach if the weather was clear enough. There was a lot of wiggle in those plans, more than I’d usually like, but given the dynamic weather situation it made sense. 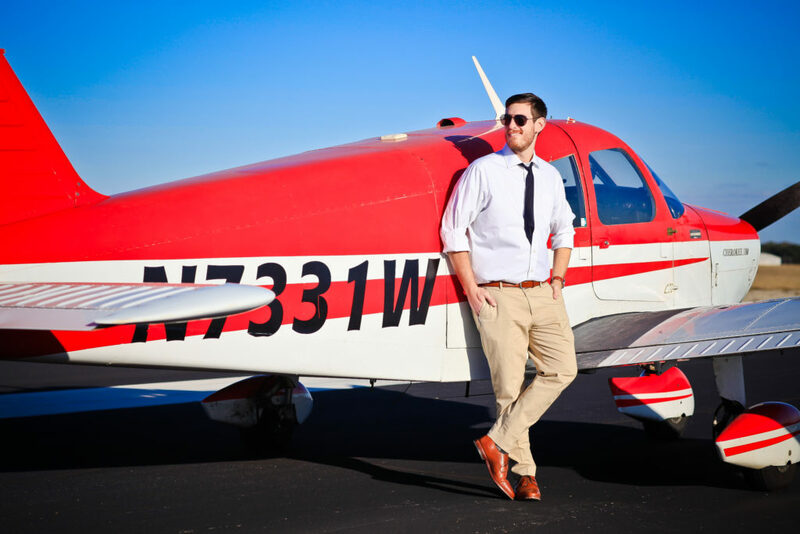 We wouldn’t really know what was the best plan until we were actually in the air, and since both of us were instrument rated pilots we were confident we could climb above trouble and take the approach back in for real if it were absolutely necessary. Having briefed the flight and filed a flight plan we left my wife in the warm terminal and walked out to shovel the freshly fallen snow off the wings of the aircraft. About a half an hour later we loaded up and were ready to fly. We all piled into the airplane, started the engine, and then watched as I failed spectacularly to remember how to drive an aircraft with a castering nosewheel. I’ve spent so much of my recent experience in a Piper Cherokee with nosewheel steering that I damn near plowed into a snow bank on my way to the runway. My performance wouldn’t get much better, unfortunately. Flying the pattern for the first time I realized just how important it was to maintain that best angle of climb throughout the entire climb to pattern altitude. Coming off the end of runway 08 there’s a wide and flat valley floor directly beneath you, but the traffic pattern takes you over what looks like a little shelf approximately 500 feet above the runway. For me, 500 feet is where I make my turn to the crosswind leg of the pattern. In this case after making that turn I had only a few seconds more to gain enough altitude to clear the ridge, and made it by a couple hundred feet by the time I eventually reached it. That’s the moment for me that really hammered home the importance of understanding and following the “best climb” airspeed — it doesn’t matter in the flat expanse of Texas, but it might matter very much when you’re in the pattern in a mountain range. Even though we were doing quite possibly the most boring thing you can do in an airplane (flying a lap around the pattern) the scenery was absolutely amazing. A standard left hand pattern around runway 08 brings you right over the city, with the ski jump from the 1964 Winter Olympics being an excellent landmark for the downwind to base turn. The final approach path brings you straight down the center of the city with a beautiful view of the bucolic town. Lined up on final, I was way high and fast. Every single time. I was able to do a forward slip to an acceptable landing, but the added cross controlling and extra concentration required meant that I was constantly being blown off the centerline by the time I was ready to flare. It wasn’t my worst landings ever, but they definitely weren’t the butter smooth landings I’d gotten used to in my old Cherokee. After three laps around the airfield we set off down the valley to the east, as planned. The view was absolutely amazing. It was without a doubt one of the most beautiful flights I’ve ever taken, including flying up the Hudson river in New York City. That hour we spent in the air was worth every cent and worth every bit of effort to get to that point. In the end we decided to fly up the eastern end of the valley and return the same way. We took a peek into one of the valleys that would take us around the other end of Innsbruck but we decided that the weather just didn’t look good enough to make the journey safely. The entire time the flight instructor and I were talking about what I should be doing while flying in the mountains. 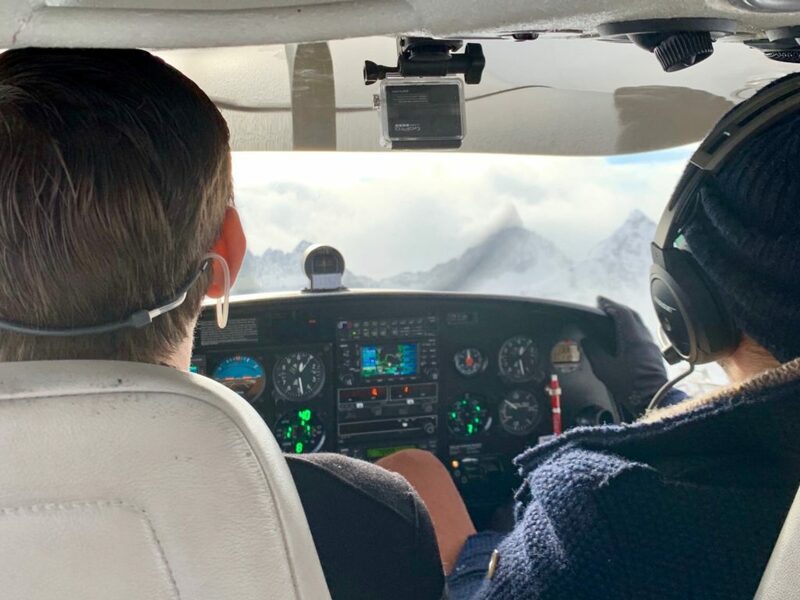 I admit that I didn’t absorb nearly as much as I should, but the one thing that stood out the most is how much “thinking ahead” there needs to be in mountain flying. Back in Texas I could get away with looking for a precautionary landing field AFTER the engine quits, but when there are gigantic mountains on either side that’s not really an option. You always need to have your head on a swivel and think ahead of the airplane even further. 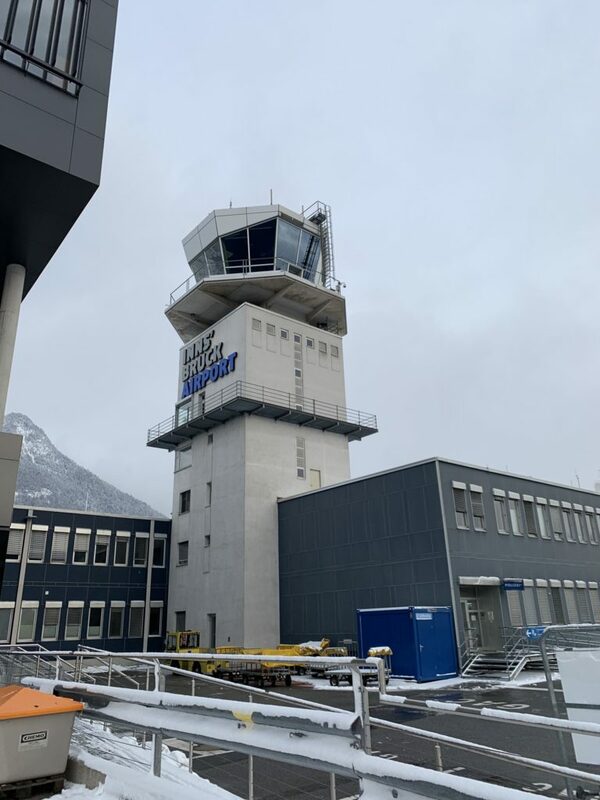 Back in Innsbruck we opted not to do the instrument approach and fly it visually instead. My final landing in Innsbruck for the day was slightly better than the first group, probably thanks to some additional practice. I made a mental note that I definitely need to get some practice when I get back home. Back on the ground we put the airplane to bed back in its covering and went inside to debrief. The biggest point that my CFI wanted to impress on me was energy management and sticking to the “best rate of climb” airspeed. Considering how low we were over the ridge on the first pass around the pattern and how high and fast we were on every single landing it’s an apt lesson and a good reminder. As always, the last thing we needed to do was some paperwork. I filled out my logbook, he signed it, and then we turned to the problem of payment. The first half of the bill was something any American would recognize, namely the hourly rate for the airplane and his time. The second half was something completely new to me: needing to pay for ATC services. While we were sitting in the lounge he called ATC, handed them our callsign, and they tallied the bill for the day. Apparently this would eventually be billed to the registered owner of the aircraft, but since I was merely renting it and would be immediately leaving the country he understandably preferred to get the payment immediately. It only took a couple minutes to get the final bill. As we parted ways the CFI offered to take us up the following day as well for some more practice if the weather remained good, but as our luck would have it it snowed pretty much the entire remainder of our trip. Too low visibility for even a lap around the pattern. That would be our only chance to fly around the mountains this trip, and I was incredibly thankful that we were able to squeeze in what flying we did. First: Energy management matters. Especially in the mountains having enough energy to clear the ridge (and as little energy as possible on landing) is more important than ever. Second: There’s a lot more planning than I expected in mountain flying. Thinking ahead of the airplane in all aspects is more important than ever, from picking potential landing spots to thinking about how you’re entering this specific valley and if you have enough space to turn around and leave if needed. I’d love to take a longer course on this aspect of flying sometime. Third: Bring cash when flying in other countries. It makes transactions much easier. This was without a doubt the coolest flight I’ve ever taken. The experience was priceless, the views were amazing, and it makes for a “what I did on my winter vacation” story that really can’t be topped around the water cooler. Flying in the winter was beautiful, but I think I’d like to go back in the spring next time. A little bit better weather would have enabled some of the things that I wanted to do, like the Innsbruck instrument approach. On the plus side it gives me a great excuse to go back again.